Share the post "Quick plays: HORSE PARTY, ELIZA NEALS, CHRISTA COUTURE"
Bury St Edmunds three-piece rockers, fronted by guitarist/singer Ellie Langley have been getting plenty of plaudits over the past 12 months from the likes of 6music, Radio One, and Radio X. Formed in 2012 when Langley and bass/keyboardist Seymour Quigley met drummer Shannon Hope, a string of self-released singles and EPs ensued, followed by a well-received debut album Cover Your Eyes (although it ran to only 8 tracks and just over 30 minutes). 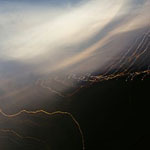 Horizons cleverly brings together the 12 tracks that have featured on the band’s singles and EPs released during 2015, and throws in one unreleased track for good measure (‘For All I Know’). Pairing up with fellow Detroit player, blues guitarist Howard Glazer, Eliza Neal delivers paint stripping performance on her latest release. I was little worried on the acoustic opening stomp ‘Detroit Drive’, that we were in for a Seasick Steve-type set. But the raw, electrified twelve bar blues title track puts that misdemeanour right. And from thereon in the pace rarely slackens throughout this high energy set. Recorded at vintage analogue studios, Breaking And Entering is unashamed ‘back to basics’ blues/rock with Neals’ gritty, whisky-soaked vocals very much from the Janis Joplin ‘school of rock’. She’s probably the rock chick thatwe all secretly hoped Joss Stone would turn out to be. Kid Rocks guitarist Kenny Olson features on a couple of tracks adding a splash of southern rock style to ‘You’, and ‘Southern Comfort Dreams’. If there’s a complaint, the material is very ‘bog standard’ despite the quality of the playing. A top notch producer like David Tyson (Alannah Myles) could probably have pulled a whole lot more out of it and fashioned into one hell of an album. Those sentiments remains equally true of Long Time Leaving where Couture continues to seamlessly flit across the genres like a grieving butterfly. Coming on the back of a relationship break-up, it’s a remarkably upbeat affair. But then considering the personal tragedies that have littered this young woman’s life, heartache is a relatively modest loss. 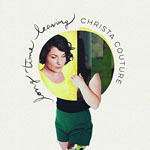 This entry was posted in ALBUM REVIEWS, All Posts, Quick Plays and tagged acoustic, album, blues, blues rock, Breaking And Entering, Christa Couture, Eliza Neals, Horizons, Horse Party, indie, Long Time Leaving, pop, review, rock, singer, songwriter. Bookmark the permalink.